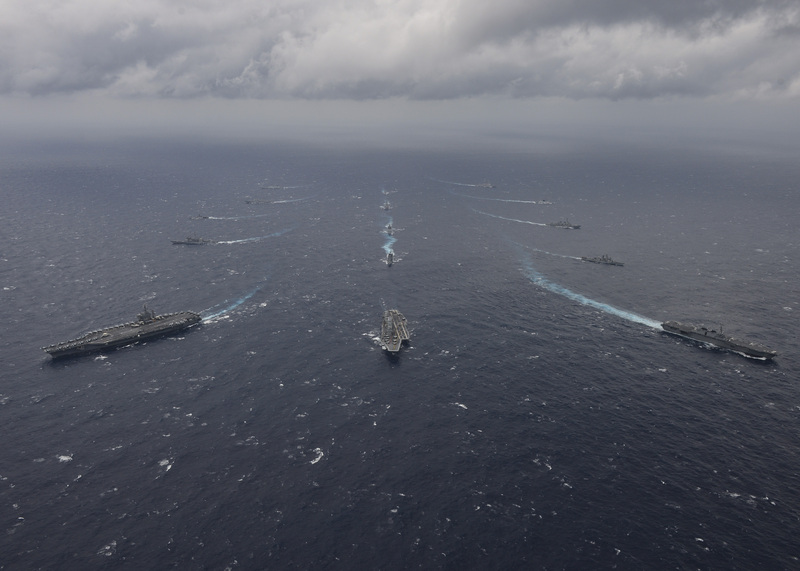 SANTA RITA, Guam — Naval ships, aircraft and personnel from India, Japan and the United States will participate in exercise Malabar 2018, June 7 through 16 off the coast of Guam. The at-sea portions will be conducted in the Philippine Sea and are designed to advance participating nations’ military-to-military coordination and capacity to plan and execute tactical operations in a multinational environment. Events planned during the at-sea portions include liaison officer professional exchanges and embarks, a photo exercise, submarine familiarization, high-value unit and air defense exercises, medical evacuation drills, surface warfare exercises, communications exercises, search and rescue exercises; helicopter cross-deck evolutions, underway replenishments, gunnery exercises, VBSS exercises and anti-submarine warfare. Indian, Japanese and U.S. maritime forces have a common understanding and knowledge of a shared working environment at sea. Each iteration of this exercise helps to advance the level of understanding between the nations’ Sailors as members of Indo-Pacific nations, and the hope is to be able to continue this process over time to strengthen bonds and personal relationships. For information regarding U.S. Navy participation, contact Lt. Cmdr. Matt Knight at CTF 70 by e-mail at william.knight@ctf70.navy.mil.